They say your “brand” is your promise to your customer; it is derived from who you are, who you want to be, and who people perceive you to be. We hope these testimonials will help You better understand our “brand”. Dear Ann and John: Thank you so much for all your help in finding our dream home. We were always impressed by your hard work and willingness to meet us on nights and weekends. You were always there to answer our questions and guide us through the process. We would recommend you to anyone looking to buy or sell a home! Thank you for everything! Thanks so much, Ann and John! It was a pleasure working with you–both buying and selling–and I’m so happy that we were able to sell so quickly. Take care! Ann & John: We want to thank you so much for your great work in getting our house sold. We are so appreciative of your knowledge, expertise and marketing skills. We really appreciated your communication with us in answering our questions and dealing with problems. You were always quick to respond and always kept us in the loop . We will not hesitate to recommend you if any of our friends decide to sell in our area. Our best regards to you both. John: Thank you, thank you so very much for all your assistance with the sale of our home. We have to say that although this was a challenging scenario – being long distance and coming off a rental situation – we could not have had more support or professional service! Thank you for dealing with the numerous vendors to get the place in shape for sale. we can’t tell you how much we value the care you took with this transaction! We would highly recommend your services. Take good care! & . . . We appreciate being in your super competent and capable and kind hands! Don’t know what we would have done without all this help. The realtor who sold us the house was a complete joke and would never have assisted in the manner in which you have. Thank you for reminding us what good service is. We feel very fortunate. Tell me how I can proclaim far and wide that you all are the best, most conscientious, and most professional realtors I have ever worked with? Thank you so much for all of your hard work in helping us find our new home! We really appreciate everything you did to make our relocation (Coming in with VCU/MCV) as smooth as possible. We couldn’t have done it without you! We hope you, Ann and the boys are having a wonderful summer! Thank you very much for all of your hard work in helping us to buy our new home! There were certainly some challenging parts of the process, and you were extremely helpful in making it as smooth as it could be. We enjoyed working with you and will be glad to recommend you guys to others in the future! Dear Ann, Thank you (again) so much for how you helped us with buying a house! You are so genuine and pleasant to work with, and I had so much trust in you throughout the process. We are very grateful to have met you . . ! Ann & John were excellent to work with – they are knowledgeable, patient, kind – wonderful people. A true pleasure to work with them! Hi Ann, Thank you so much for your follow-up. More importantly, thank you for your very generous time on Saturday and your amazing tour of Richmond neighborhoods, parks and history. I told Carolyn that you are incredibly SMART, highly PROFESSIONAL and a wonderful LISTENER! Regarding our house hunt . . . Bob and I obviously have a lot to think. In a nutshell – we really enjoyed and were impressed by Richmond, and we believe it would be a wonderful place to raise our girls. The yellow house in Hampton Garden, St. Catherine’s School . . . it all seems on target . . . we have a much better sense of where we would want to live, the schools and what our lives would “feel” like in Richmond – thanks to you! Ann and John were wonderful! 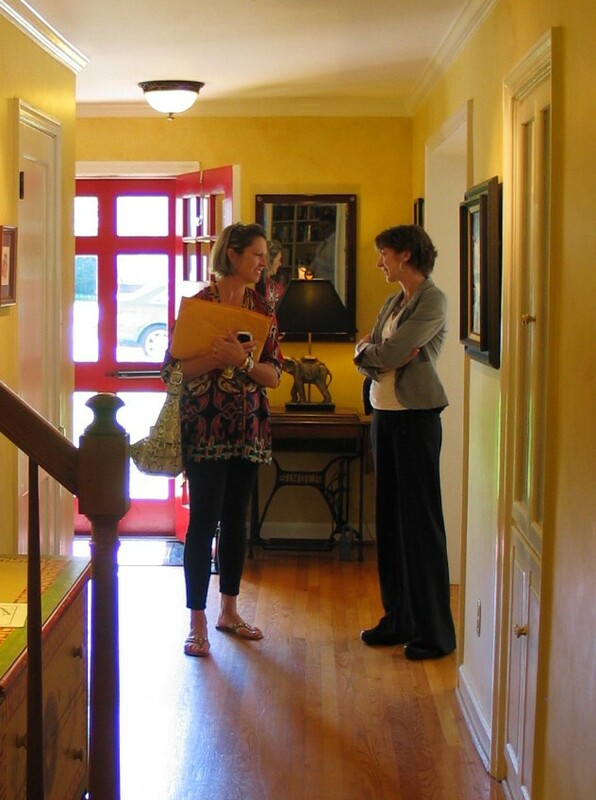 They walked us through every aspect of selling our home and buying our next home – always with the best advice. Ann’s communication skills were excellent always prompt at getting back to me or at keeping us informed. We could not have been more pleased with her knowledge and service! Hi Ann and John – I just had to send this to you. This link is to the house in the nearby neighborhood that is priced about the same as ours was – you mentioned this house to me, Ann, because it went online the same weekend ours did. I saw these pictures just now and was struck by the difference (between our house and this one) in the way it was staged and, especially, in the pictures and the way it is presented online. You all are the BEST! John, it took me a while to figure out how to see the visual tour, but I finally saw it – WOW! That was amazing! Thank you for the hours it must have taken you to put it together. It worked! The VanderSydes were fantastic. John was always super helpful and dedicated to our purchase. Thanks so much! Ann, You are truly a great team! Selling a home is a curious experience – it’s a great thing and also sort of awful at the same time. You and John certainly made the hard parts easier to endure and the good stuff even better. I’ve shared many “house selling” stories with others and it is quite apparent to me that I picked the best in the business. I particularly appreciated your experience in and knowledge of the local real estate market – the improvements we made before putting the house on the market made all the difference in my opinion. I think selling the house in a day for full asking price says it all! I would recommend you to anyone without reservation. Thanks again! We loved working with Ann. She “got” us quickly and did extras to ease the long distance search as we live primarily in Ct.
Ann and John were great. Ann set us up to receive email alerts of properties that met our criteria. Since we lived in another state at the time, this was very helpful. During our home search visits in VA the both accommodated us, along with our dog who traveled with us. from beginning to closing, they assisted us every step of the way. We would highly recommend them. John, It was so cool to open the Times Dispatch this morning to see you have earned the Outstanding Service Award as well as you and Ann getting other awards. Such honors prove to me that you continue to pursue the utmost of professionalism. For what little it is worth, I’m proud to call you a friend as well as a colleague. I hop y’all continue to lead and prosper. Hi Ann, I’m so sorry that I have missed you yesterday. I always like to chat with you and would have enjoyed that . . . I am really glad that you were our agent during our home search and home buying process. You are extremely easy to work with and possess a great amount of patience, even though at times were probably difficult to work with. I like that you were always available to d came with a lot of information to every house showing. We are very happy in out new home and the neighborhood and I am glad you encouraged us to see the positive things about it. Thank you for sharing the ups and downs, the joys and pains of home purchasing with us and making this process as smooth as it was. I cannot thank you enough for all that you have done to help us with our searches. Please convey my sincere appreciation to the VanderSydes (sorry if I misspelled) as well. I’d like to thank you again for the wonderful job you did selling my house. Your excellent guidance and knowledge made the process go very smoothly. Also, your excellent contractors made repairs easily and were great to work with. Ann your staging touches really made a huge difference in the appearance of my house. I will certainly recommend to anyone I know selling or buying a house. We really appreciated your time Saturday and our industry would be so much more proficient with agents like you!!! You made me look good in the mindset of [Client’s Name] being able to get you to meet with us promptly. Thanks again . . . Thank you so much for spending the day showing Meghan and I around Richmond, We had such a great time! The time you spent with us was a large part of what made us decide to take the position at [New Job] Thank you! We are very excited to start our life in Virginia and we look forward to hopefully buying our first home with your help! Thank you again! I feel that you both went “above and beyond” in working with me on the sale – recommending things to do before I put the house on the market, staging the house with your nice furniture after I moved most of my stuff out, dealing with the many inspection issues, and getting Bob Witte involved fixing in them. I’m pretty sure the house would still be on the market if it were not for this help and guidance from you. I appreciate all of this help and sincerely thank you for it. We cannot thank you enough for your friendship and professional guidance through our moving process. We know we received extra TLC and are very grateful. We can’t wait to have you for a proper dinner celebration in our new home! [A note to L&F Relocation] We have closed on our new home in Richmond and will move in soon. Thank you for assigning Ann and John Vandersyde to help us with our relocation to Richmond. Our relocation was extremely rushed and not a bit relaxing. Ann and John rose to the occasion again and again throughout this process. They are hardworking, knowledgeable and kind. They are a terrific team and went above and beyond the realtors “call of duty” time and time again. Anyone who has the opportunity to work with them during their relocation is indeed fortunate. Thank you for your professional, excellent work in helping me and my family purchase a home in Richmond. As you know, we had never been to Richmond prior to the time when we learned that we were being relocated to the area. You fully understood and, indeed, embraced how important it was that we quickly find a home in Richmond. Through our initial conversation on the phone, you were able to discern what type of home, neighborhood and school would be best for my family. When I arrived in Richmond, you fully immersed me in everything that the city had to offer and helped me find the perfect home for my family during my first visit. You are a terrific team. John’s background and architectural expertise was invaluable to me as I was making a decision about a home, potential renovations and the integrity of certain parts of each home. Ann’s knowledge and expertise of the Richmond area neighborhoods, schools, children’s activities and lifestyle choices was priceless. 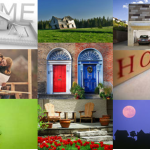 Your team approach to helping home buyers ensures that one of you is available at all times. Perfect. You continually went above and beyond by helping me in so many ways to get through both the home buying process and our transition to the Richmond area. Last but, certainly not least I enjoyed spending time with you. We wanted to thank you for everything you did to make our home purchase in Henrico, VA so pleasant. We are incredibly impressed with your knowledge, professionalism and amazing attention to detail. After just a couple of conversations with you, we had complete confidence in your ability to efficiently manage the purchase of our new home. You did a fantastic job keeping everyone on schedule (including us) and ensuring that we received all of the necessary information and paperwork to make our purchase smooth and painless. We appreciate how comfortable you made us feel during the whole process . . . we will definitely contact you for any future real estate needs. Thank you so much for all of your help with my house – from helping me find it and buy it, to then helping me find a nice family to live in it when my plans changed. I so appreciate all the hard work that you put into it. You have clearly won my love and approval – I absolutely loved working with you and can’t even begin to thank you enough! I wanted to call you after Sunday and say I was BLOWN AWAY (but not surprised) at the staging of the house. We had some friends over briefly on Sun night and they all loved it too and they are pretty selective in their tastes. You have fabulous taste and I wish I could bring you to every house I have and get your help decorating. Maybe I could fly you out to Chicago for the day sometime when we get settled into our next house and we can go shopping for stuff. My mother in law loved the slip covers you bought for the couch and chair. THANK YOU SO MUCH! I am not worried at all about the house sale because I know you guys (including you, John, and Ty) have it under control and are putting our best foot forward! It is a huge relief! We wanted to extend out thanks to you and John for helping us get in to our new home. Virginia Properties as a whole was a pleasure to work with. There were certainly things that you guys brought to the table that helped us save money in the long run. Your experience in the industry shows through your work and anyone who has the opportunity to work with you and John will surely be impressed. Thanks again for your help – it was a great and painless experience. John & Ann were simply amazing. We will without a doubt use them for each and every real estate transaction going forward. And will recommend our friends do the same. Knowledgeable, Accommodating, Perfect. The VanderSydes were great to work with. They were the key to our transaction in Richmond. My fiancé and I were first time homebuyers and we knew that the incentives to purchase a home with the 2009 tax credits were going to make many realtors eager to work with us. When we met Ann, it was clear that her enthusiasm, dedication, knowledge, resources and work ethic we going to make our first home purchase not only stress-free, but also enjoyable. Ann was quick to hone in on our desired homes, set-up a database to pre-sort and email daily homes for our viewing, and work with our schedule, despite having a family of her own. Ann was very validating and reassuring, and loved guiding us through every step of the process. We showed interest in a house on Sunday, viewed it on Monday and made an offer on Tuesday. To highlight her enthusiasm, dedication and work ethic with her clients, when we decided that we were “sold” on our house, Ann was quick to address her family needs and worked diligently with us for the house, staying until midnight so that we could secure the offer the following morning. Her work ethic and dedication to her clients doesn’t go unnoticed and we were certain we were working with a consummate professional. Throughout the process, there were numerous questions and concerns raised as first-time homebuyers. Ann has exceptional interpersonal skills and was quick to answer all questions. One of my biggest concerns was being overwhelmed with tasks of which I would not know whom to contact or when. Ann provided a plethora of resources, and to my delight, generally handled all of the tasks and paperwork for us. From recommending vendors to refinishing our hardwood floor, to locksmiths, inspectors, mortgage companies, attorneys and even allowing us to borrow her ladder to paint and hang are post-closing, Ann has an extraordinary relationship with her clients; enthusiasm for the process and profession; and work ethic that allows for an incomparable home buying experience. 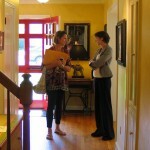 Working with Ann had been phenomenal and we will exclusively buy and sell homes with the assistance of Ann VanderSyde! Ann – it has been a pleasure to work with you. Thank you for ALL of your efforts to make sure this deal got to closing. I’m sure [client names] will love their first home! Ann – I wanted to drop you a line to say thank you for all of your (and John’s) help with my first home purchase. This is the first evening that I will actually sleep at my new residence. I’m very excited . . . I’ve learned a lot about my city through you, and I appreciate your perspective – It’s refreshing! “John was attentive to our needs, very nice and professional. He sincerely cared about us as clients and people! John was GREAT!!! . . . Thank you for all of the hard (and long) work you did to help me find my special dream house! I love every bit of it”. “I am very pleased and happy with my house. All the effort you put in getting the house that was right for me is appreciated. Your architectural expertise and consideration made the process less frustrating and inspired confidence”. “ . . . you should know how unbelievably pleased we were with [John’s] service every step of the way. He was very thorough in his initial property searches for us, showing us every type of listing in our price range and letting us decide what worked best for our needs. Being first-time homebuyers, we were very comforted by the fact that he was always available to answer our numerous lists of questions. When we finally found the right house, he acted fast and enabled us to be the first to put a contract down. We got the house we wanted, and he made closing a breeze. John made what we initially perceived as a scary and overwhelming process into a stress-free and successful venture”. “The [first] night we stayed in the house went really well. It wasn’t until we walked into the house that it felt really REAL. It is our house! I even made Brian carry me over the threshold . . . Thanks again for all your help!